Will you be able to get good health care when all the new health laws take effect? On this vital subject, passions are running high…and there’s lots of conflicting and inaccurate information being thrown around. What we all need is an unbiased, clear-headed look at how health care is changing…how we will all be affected by Obamacare and changes to Medicare…and what we must do to protect ourselves. That is what you will find here in the Bottom Line Guide to Obamacare. The situation is changing rapidly, so check this page often! Do I Have to Pay Tax on Health Insurance Benefits? Crooks posing as federal employees call victims and say that they will soon receive health insurance cards under a provision of the act—but must provide a bank account number and routing number. 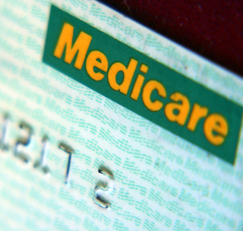 Another version of the scam claims that new Medicare cards are being mailed out in connection with the law. But the act does not mandate a new insurance card, and no new Medicare cards are being mailed. What to do: Realize that government agencies already have your personal information on file—no one will call and ask you for it. Do not be fooled if your caller-ID shows a call coming from a seemingly legitimate agency—scammers use technology that lets them display any number or name they wish. And never reply to an unsolicited e-mail that supposedly comes from a government agency—they are never legitimate. Only 25% of employers now provide financial assistance to help retirees under age 65 with medical costs, versus 60% in the 1980s. Many companies that still offer retiree health benefits are giving employees fixed amounts to find policies on their own or are raising co-pays and deductibles. If you plan to retire before age 65: Ask your benefits department what the company offers and what changes are likely before you become eligible for Medicare. 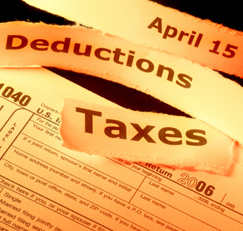 Starting this year, most people can deduct medical expenses on federal income taxes only to the extent that the expenses exceed 10% of their adjusted gross income, up from a threshold of 7.5% in prior years. But there are rules that may help you qualify. 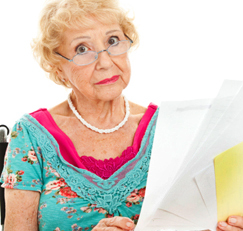 If either you or your spouse will be 65 or older as of December 31, 2013, the higher threshold will not affect you until 2017. If not, you can try to shift some medical expenses—such as new eyeglasses and dental work—to maximize the total amount in a given year while minimizing it in the next year. (That way you are maximizing the amount that exceeds the 10% threshold.) Also, if you pay medical expenses for a parent who is your dependent (meaning that you pay more than half of his/her support for the year), you can add those medical expenses to your own for itemized deduction purposes. And don’t overlook the fact that medical premiums you pay for long-term care (subject to limits) count as medical costs. Readers Have Lots of Obamacare Questions. We Have Answers!